Google Pixel 3 XL Quality Unboxing Video Leaked: That Notch! →Google Pixel 3 XL Quality Unboxing Video Leaked: That Notch! The Google Pixel 3 Xl won\t be announced for another month or so with launch date stemming to October. However, at this point, we have come to know almost all aspects of the device. While some of the features on software level are hidden, the physical aspect has been covered in detail on the previous leaks. Nonetheless, it’s never enough to know about a device which has not been officially launched. With that said, a new Google Pixel 3 XL leak has emerged and this time in full high-quality unboxing. As we have mentioned earlier, the Google Pixel 3 XL has leaked numerous times in the past month. What makes today’s leak so interesting is that the video quality is high-end, just as you would see other professional unboxing videos on YouTube. In addition to this, the YouTuber seems so confident and not at all care about the leaked aspect of the device. Once you play the video, you will see the retail unit of the Google Pixel 3 XL inside the box. You can also see what Google will bundle inside the box. One thing that caught our eye previously as well as the inclusion of the wired Pixel buds. While not the best of its kind, they sure are a welcome addition. Apart from that, you will get the USB-C charger, regulatory papers, cable, the 3.5mm jack to USB-C connector and the Pixel 3 XL itself. In my personal opinion, the Google Pixel 3 XL appears to be quite large, bigger than the device has ever been before. However, our major concerns rest with the notch. It is as big as the leaked pictures depicted. While the Pixel 3 XL is not going to win any design awards this year, we hope the company makes use of the deep notch in some way or another. Stereo speakers is one such aspect and we will be glad to have them. At the back of the device is a single camera with flash and necessary features. The design from the back is not that different from what we currently use. However, we are not sure about the build material. Possibly in the next couple of weeks before the Google Pixel 3 XL launches officially, we will have more details on it. 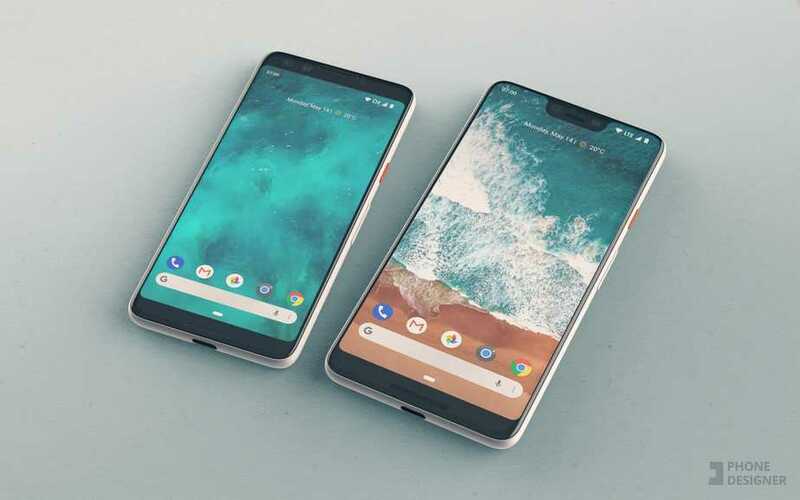 A lot has been leaked about the Google Pixel 3 Xl so be sure to visit our site for more insights on the device.